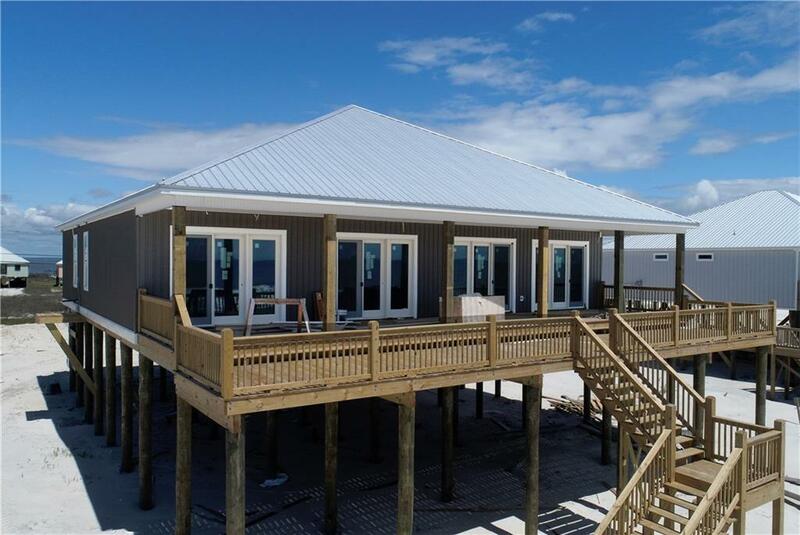 Fabulous New Construction with 100 feet on the Gulf of Mexico. 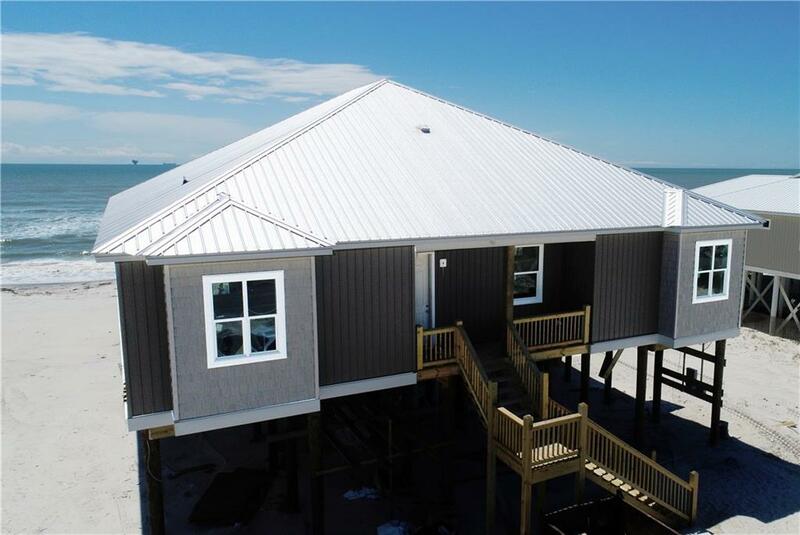 This custom home will have two master suites facing the Gulf, 10 foot ceilings, 9 ft wide sliding doors opening to a large deck, both Master Baths will have large walk in tile showers, with soaker tubs, and granite counter tops. This property will have approximately 2800 sq. ft. of living space, the covered deck has 737 sq. ft.with a step down lower open deck of approximately 500 sq. ft. this gives a view without seeing the handrails while overlooking the beautiful Gulf of Mexico. The living room will have a 16 foot vaulted pickled pine tongue and groove ceiling and two 12 foot sliding doors which will offer a spectacular view of the Gulf. The open kitchen will look out toward the gulf with a large counter area, exceptional cabinet space, stainless steel appliances, there will also be a wet bar in the living/family room. The back two bedrooms will have a private bath with granite counter tops. There will be a separate laundry area with lots of storage. The floors will be wood-look ceramic tile. A closet in the entry way will contain a cargo lift for easy loading and unloading.Of course this home will be "Gold Fortified " which will enable lower insurance rates. 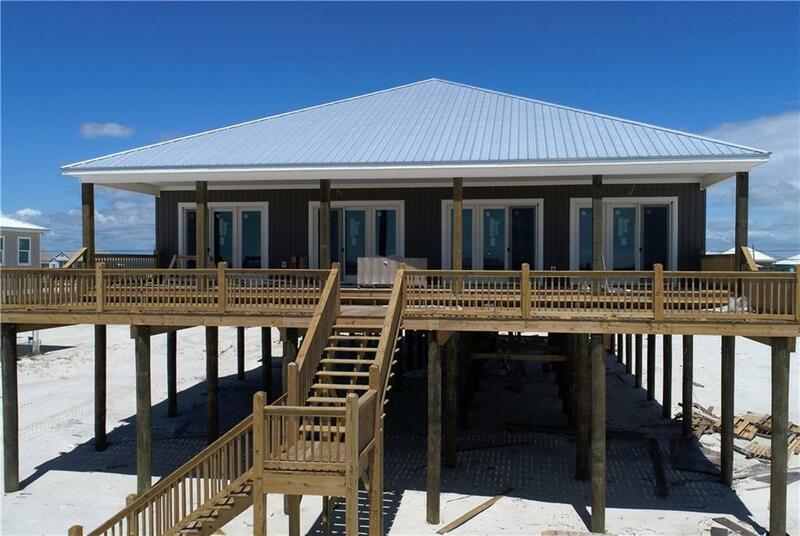 This can be the beach house of your dreams ! Watch the beautiful sunsets from your deck, the surf, birds, dolphins and of course you have beautiful white sandy beaches to walk. This home would be a great vacation rental or a wonderful retreat for yourself!All measurements are approximate, and not guaranteed. 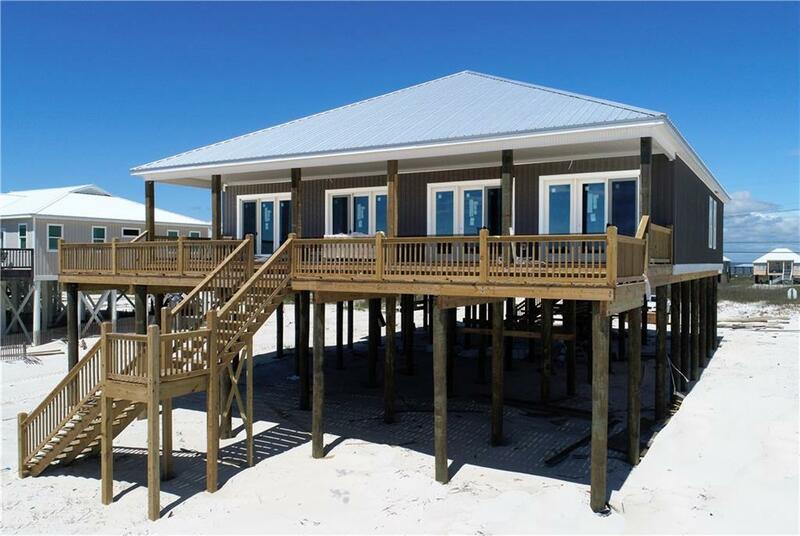 Listing courtesy of Sara Havard of Dauphin Island Real Estate.